With a crappy weather forecast for Wednesday, we decided to spend the day in Tucson, running errands, and stocking up on stuff (Trader Joe’s!!). Jezzy helps John navigate the path to Tucson. 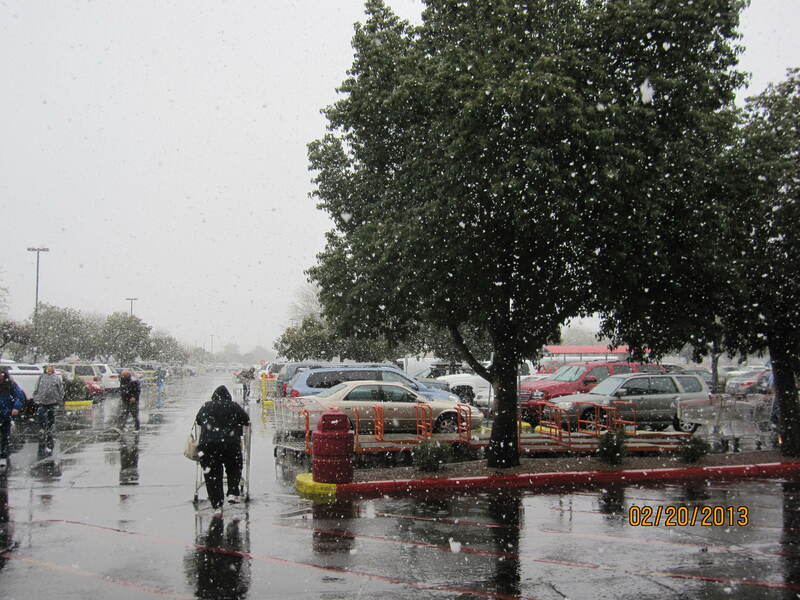 While we were in Costco, it began to snow in earnest. The parking lot was filled with folks pointing their cell phones at trees, taking photos. To a Michigander, it was pretty funny to see everyone get so cranked up about big, wet snowflakes. We treated ourselves to lunch at Nimbus (our favorite brewpub, but NOT this location). When we exited, the snow had stopped, but there was a significant accumulation. Time for another photo…. Enough with the snow, already! Hoping this is the last time I have to use the “S” word in this blog. 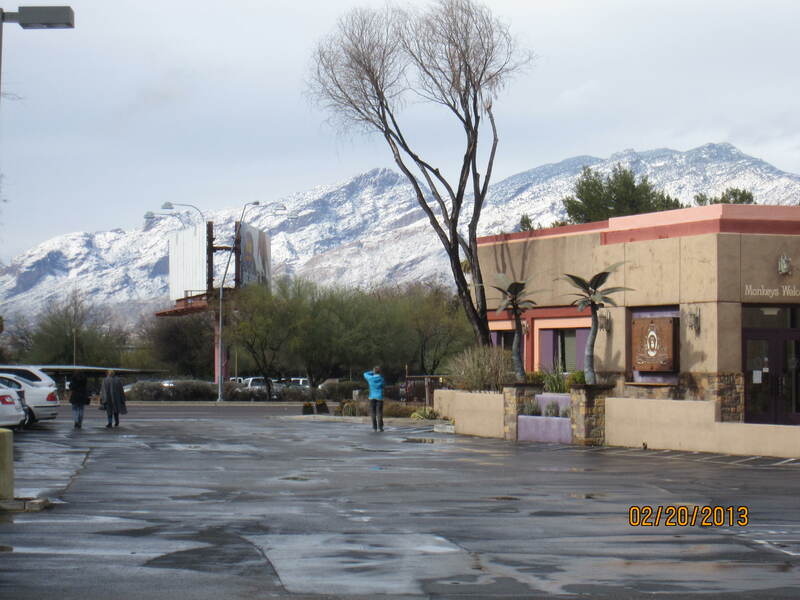 This entry was posted in Arizona, retirement, Uncategorized and tagged Arizona, snow, weather by Judy Crankshaw. Bookmark the permalink. That snow was a big event here hahaa. I just liked it for the few hours it lasted. That’s fine with me. Have you ever been to Sprouts? They have lots of interesting hard to find things too. Not familiar with Sprouts, but will check it out next time we’re in Tucson. Thanks for the tip. Keep that snow down there. We don ‘t need any more. However, I did buy some snowshoes to take advantage of it. So I’m ready to take it on; then I caught a cold. Ugh! Nature is conspiring against my waistline as I veg out and put on the pounds. Fat and sassy as always. Hope you’re having a good time in spite of the weather. great pic of John and Jezzy! Now, do you want a REAL picture of some snow???? Yes. Lets see it. Bring it on. Having fun would be just a bit easier if it would just warm up a bit. But, we’re trying…..